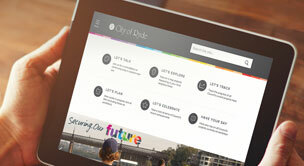 The City of Ryde Council in metro Sydney wanted a user-friendly website with a clean design that made information easy to find. 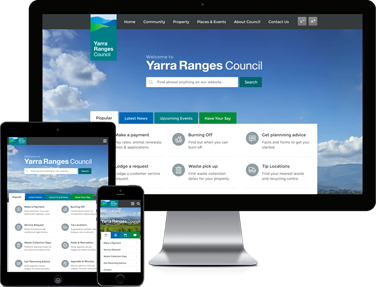 Yarra Ranges new website allows Council to better engage with customers and provide more self-service opportunities. 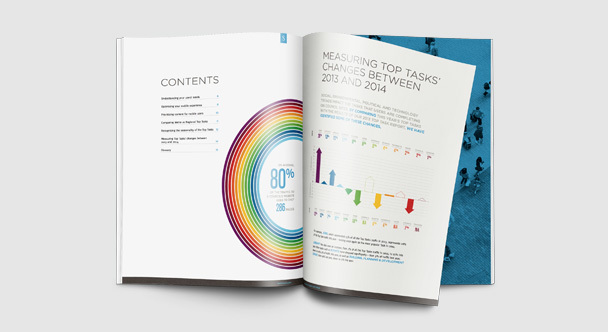 Delivering a customer centric website - To better understand what users are seeking from council websites, we've analysed the usage patterns of 47 Australian local government websites, and summarised our findings in our Top Tasks 2014 report. Global Accessibility Awareness Day 2016 - For most people, using the web is an activity taken for granted. For people who suffer from disabilities however, the Internet can sometimes be an inhospitable place. 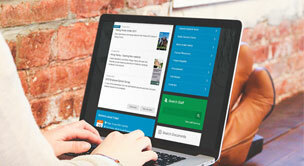 Content Accessibility - Making web accessible content is not all down to technology and coding fixes. 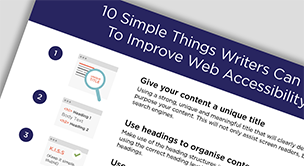 While the Web Content Accessibility Guidelines 2.0 (WCAG 2.0) are your ultimate source for all things accessibility our poster will get you on the way.